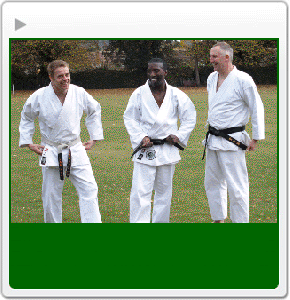 The Epsom and Ewell Karate Club meet in the town of Epsom in Surrey. 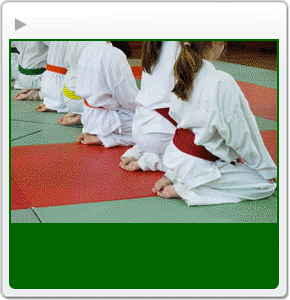 The Junior and Senior training is based on traditional Wado Ryu Karate. Sensei Ian, Julius and Howard. Self confidence, discipline, courtesy while learning basic self-defense. All aspects of training for light contact competition. Karate, the most essential of the arts of unarmed self-defence, is, among many things, a protective, not aggressive, sport. It should never be used violently or with intent to maim. Though the full depth of the meaning of the word "karate" is difficult to convey, in general, we can say that it is a rigid training of both the mind and the body. A developed karate technique gives power that should never be misused. Karate is a training of the mind and body, but it is more. It calls for support on the mental powers of man, far greater that modern science can explain. More than a sport, more than a system of defence, karate, in its most important aspect, is a way of life. The karate master and the trainee, who have worked for years with this semi-physical, semi-spiritual exercise, is a tranquil man. 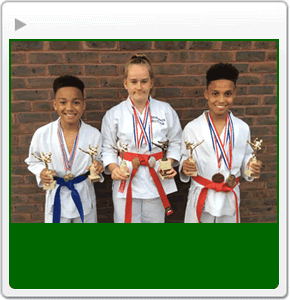 © Copyright 2018 Epsom and Ewell Karate.